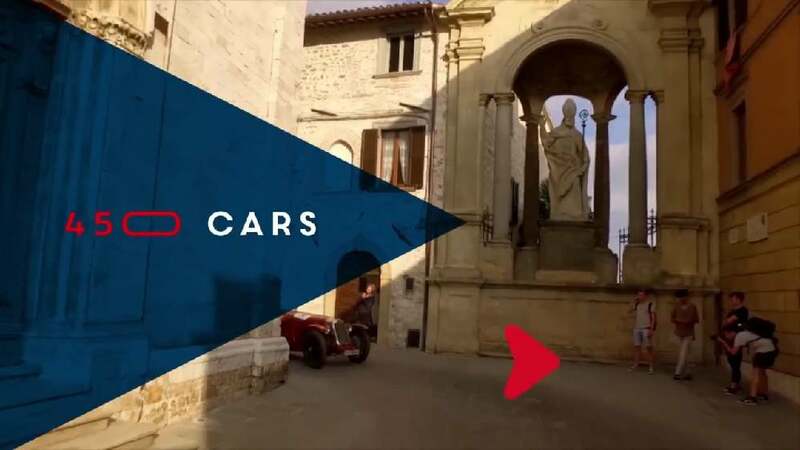 The Italian vintage car rally 1000 Miglia was supposed be redefined to create a lifestyle image for commercial expansion. The new visual identity reflects this, based on the brand’s heritage. A fresh system of arrows, with a style which is softer, more youthful, and abstract, makes it possible to design balanced compositions in which the variety of arrows can be used as singular elements or together to create patterns which offer an infinite number of possible interpretations. The typography conveys a sense of motion, created through the slightly elongated and flattened shape. Furthermore, the combination of the original red and white colour with the contemporary shade of blue creates, along with gold embellishments, an elegant look.